A letter of agreement is a safe measure to take before going into a partnership business. The Letter of Agreement Templates will make sure that your paperwork keeps your interests secured. 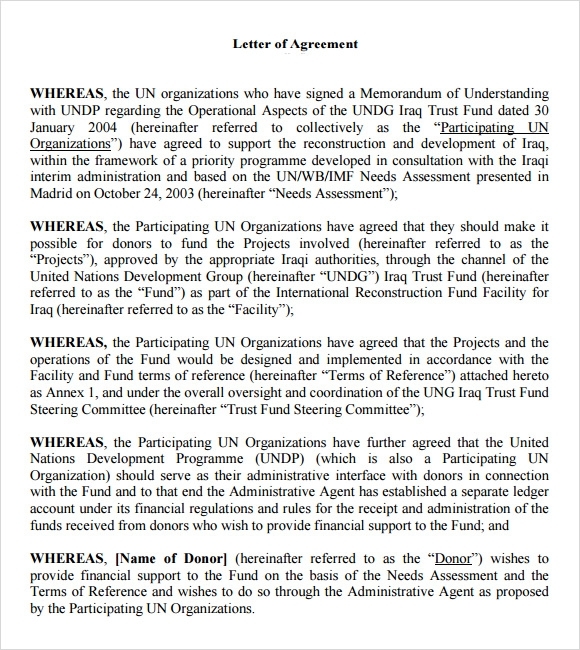 The templates are designed to include all important clauses that are relevant to the agreement between the parties involved. The template is the best way of protecting the legal rights of the parties and keeping them on the same page. The templates are easy to use and they are customizable as well. This feature enables you to make changes according to your requirements. The premium templates, which are available in DOC format, can be downloaded free of cost. 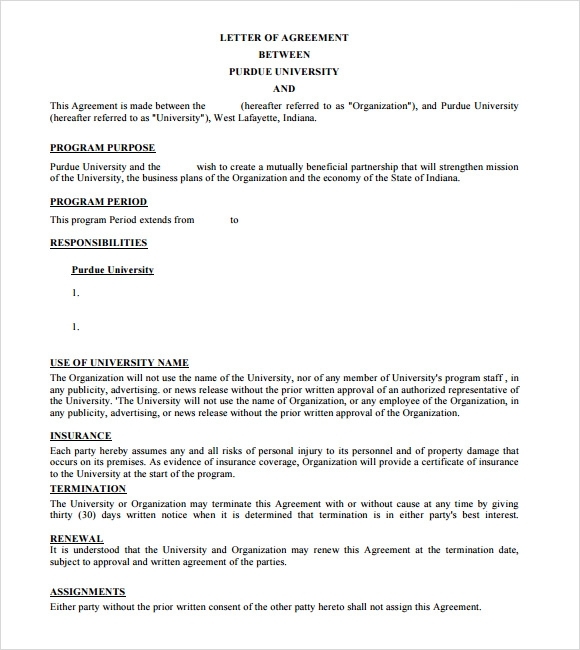 The free letter of agreement template can be used for detailing the points that need to be included in a typical letter of agreement that is entered into by two parties. 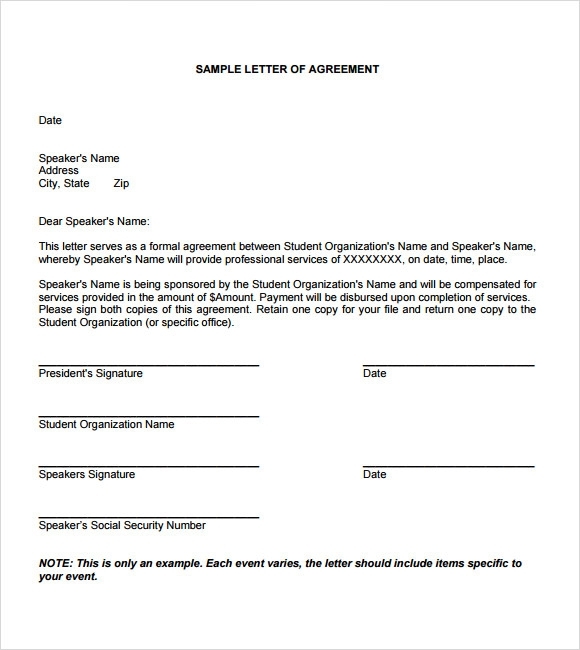 The letter of agreement sample template presents a sample of the contents and the details of the major points that need to be there in a letter of agreement. 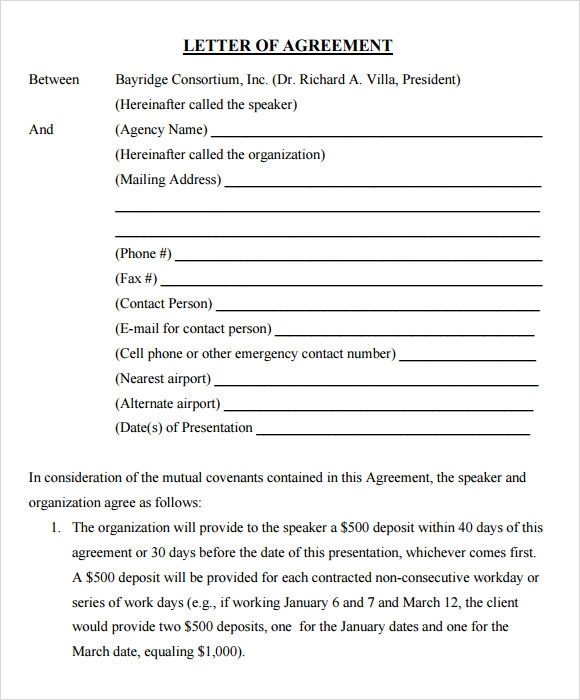 The letter of agreement example template can be used for preparing an outline of a letter of agreement for a client. 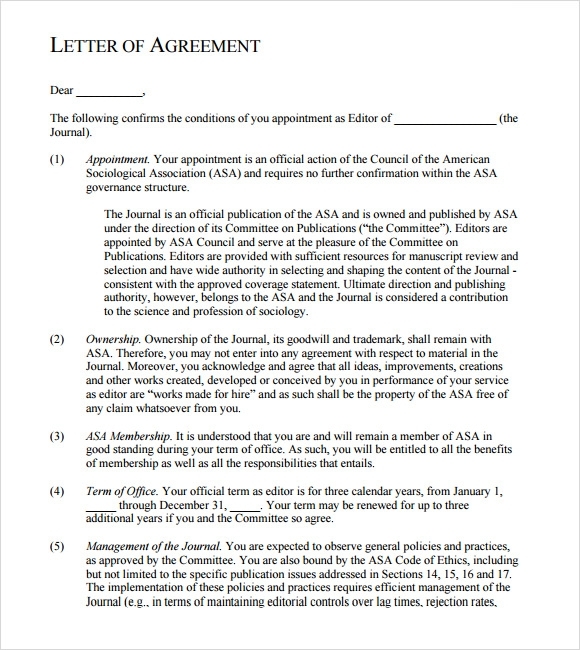 Use the letter of agreement format template for getting an idea about the right structure and format of a professional letter of agreement. 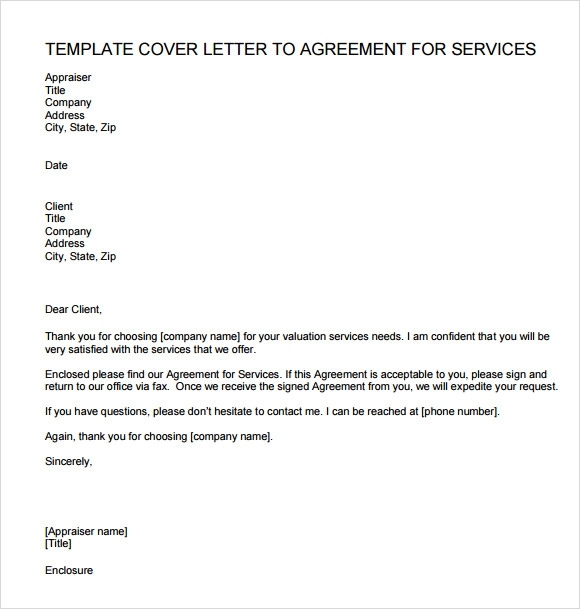 Why Do You Need Letter of Agreement Templates? Letter of agreement templates are needed mainly due to the fact that drafting a letter of agreement on your own is very difficult. For all those individuals who do not have the knowledge and the experience of relevant laws governing the letters of agreement, the letter of agreement templates can be of good use. On the other hand, these Formal Letters are also of good use for all those people who do not have the required budget in hand for taking the services of professionals who are adept at framing letters of agreement. It is only due to these problems that there are many people who do not like taking the trouble of entering into an agreement. However, the good news is that for all those individuals who need to have letters of agreement, there are letter of agreement templates available online that can easily be customized as per requirements. When Do You Need Letter of Agreement Templates? 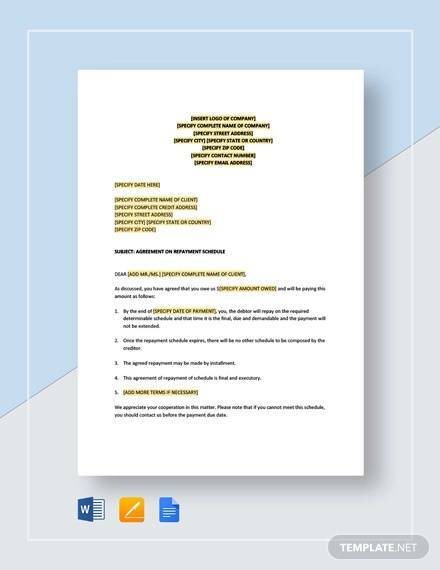 letter of agreement templates are needed when individuals jump into starting a completely new business or into initiating a new business relation. The use of letter of agreement templates is considered one of the smartest ideas for ensuring that both the parties remain on the same page. The letter of agreement templates provide an outline for the terms of the deal or the agreement which helps in protecting the legal rights of both the parties and helps both the parties in understanding their responsibilities. These Professional Letters also ensure that you spend very little time wondering and more time in doing something that is useful and result-oriented. 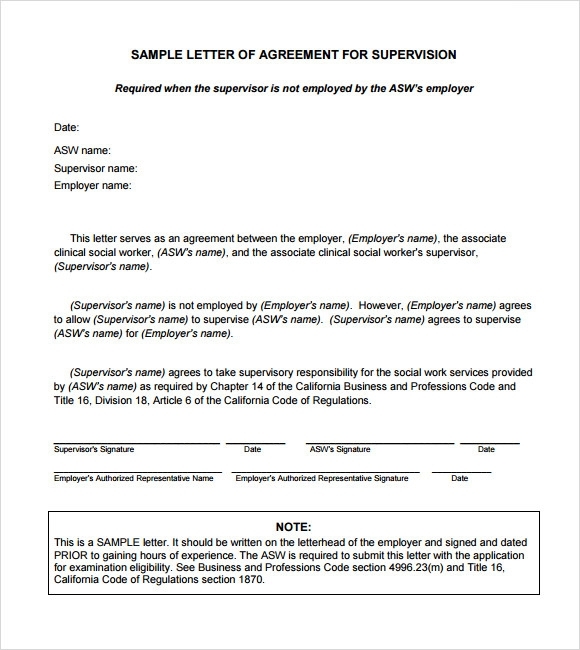 The letter of agreement templates are used when individuals are ready to enter into an agreement and they want to define the terms and the conditions of the agreement. These templates can also be used for starting negotiations. 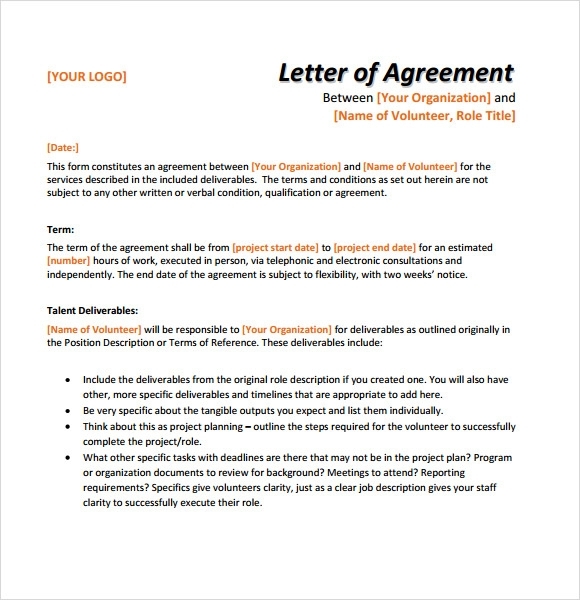 What Are the Benefits of Letter of Agreement Templates? 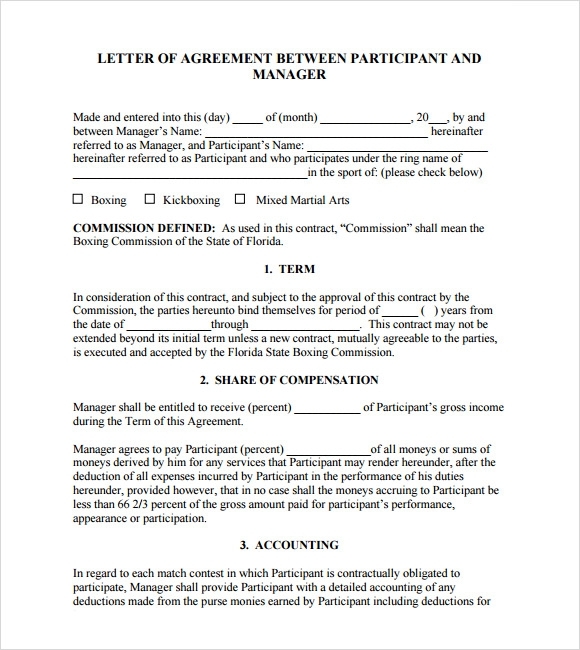 The letter of agreement templates can be used in the form of rent agreements. They are drafted by professionals who are highly qualified and possess good experience in agreement matters. These templates are quite comprehensive and they cover each and every area ensuring that there are no loop holes. They not only protect the individuals involved in the agreement from scams but are also meant to help the individuals in defending themselves against any problems that might come up. These templates provide necessary information in the most professional manner and help an individual in understanding what is expected in a certain situation. 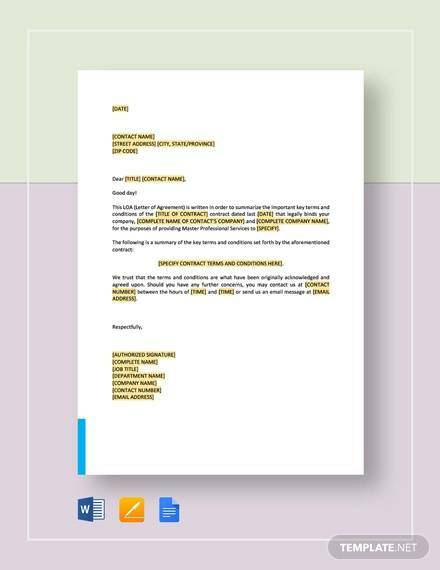 The beauty of the letter of agreement templates is that they can easily be downloaded and customized as per requirements. They can be made to say exactly what you intend to say. 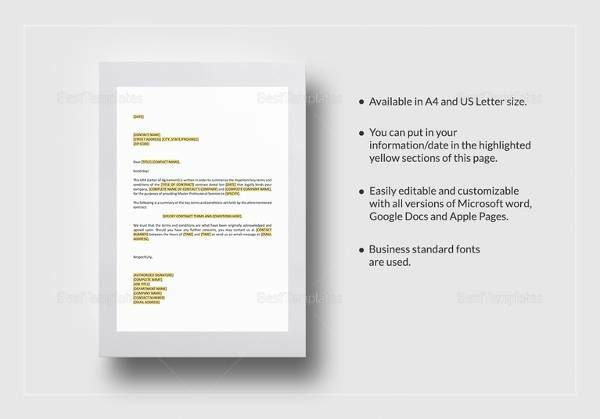 Additionally, these templates do not cost much and you get a document that would otherwise cost a fortune if you took the services of a lawyer.